AHD/CVI/TVI/CVBS up to 200 m.
Active balun for video with surge suppressor. DSE twisted pair converters are suitable for classic analog CVBS video as well as high resolution AHD/CVI/TVI video (up to 5MP). The most common wiring for CCTV system is coaxial cable as shown here on the left. The most popular coaxial is called RG59 and it carries video signals up to a few hundred meters. Twisted pair cables can be used in CCTV wiring instead of coaxial cables. They are now very popular because of 2 important advantages: longer wiring range (using active transmitters) and possibility to carry more than one camera over a single cable. In order to use twisted pair cable for CCTV applications two converters are required: one near the camera (transmitter) and one at the other end of the cable (receiver). Since these converter will balance-unbalance the signal they are also called BALUN. The cable recommended for use with DSE converters is the classic CAT-5 UTP non shielded network cable with contains 4 twisted pairs. Up to 4 cameras can be run off a single cable. It is also possible to use different cables, shielded or unshielded, and in different materials, the only condition being that the conductors are twisted into pairs. The use of alternative cables may cause a significant reduction of the transmission range. For more details on twisted pair cabling see the Tutorial. DSE range includes passive and active baluns. 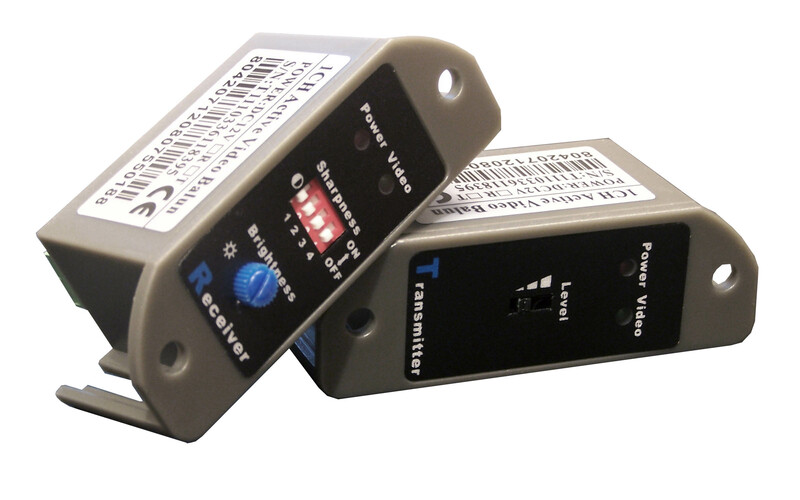 Active baluns gives longer transmission range but need DC power supply. 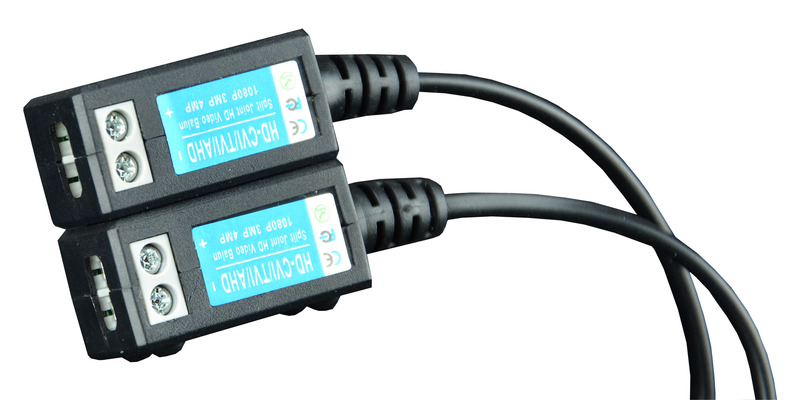 DSE balun are suitable for all analog video signals. They can be use for traditional composite CVBS video as well as for latest generation AHD/CVI/TVI high resolution video up to 5MP. 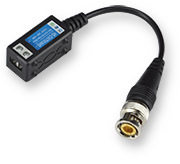 This passive converter is a video balun, ideal to send video signal over twisted pair.. It's size is just slightly bigger than a standard BNC connector and it does not require an external power supply. 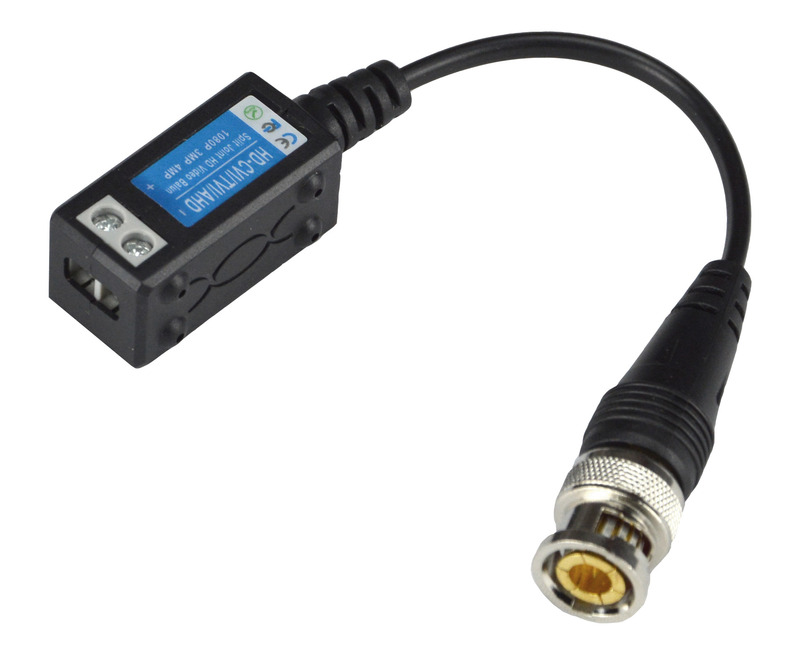 At one end, this balun has a BNC connector to connect to the CCTV device (camera or DVR). On the other side it has 2 screw terminals to connect one of the four twisted pairs in the CAT5 cable. Two converters are needed for each camera at each end of the twisted pair cable. The device is reversible and is able to work as a transmitter, when placed near the camera and as a receiver when closed to the DVR. The maximum length of cable is 200 meters for transmitting standard analog CVBS or AHD/CVI/TVI 2MP video signal. Unlike cheaper similar balun on the market, this comes with the BNC at the end of a short video cable that is convenient in several installation scenarios. In addition, this model come with a clip mounting system that allows you to link several baluns in a raw. 2 pcs. each camera are required. Unlike all passive converters above, the RE-BNCRJ2L, is an active balun, which means that is able to amplify the signal and extend the transmission range. The max. distance between the camera and the monitor is up to 2400 m. for both standard analog or AHD video signals. The product includes one transmitter and one receiver. Both need 12VDC power supply (RE-AL4S adaptor to be ordered separately). The transmitter unit includes a switch for setting the boost level according to the real cable length. The receiver comes with brightness and contrast adjustment.